My Wey of Life: Christmas Tree is Up! Christmas is 1 month away from now! 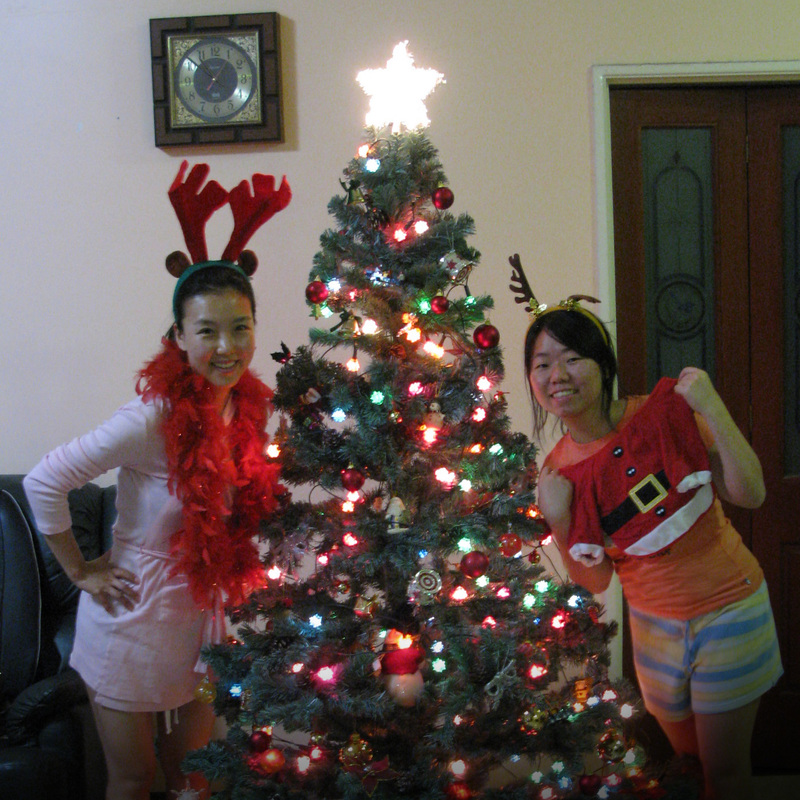 We had already set up the christmas tree nice and all light up! Ready to party!! Actually, my group of friends had decided to celebrate christmas 1 month earlier because there will be 4 people missing during the christmas period. I'm included of course. I will be in Taiwan that time! We are going to have a costume/christmas party this Saturday at Joe's house. Can you guess what I'm gonna wear on that night? ?